A unique factory prototype finished in Mid-China Blue with Parchment MB Tex. 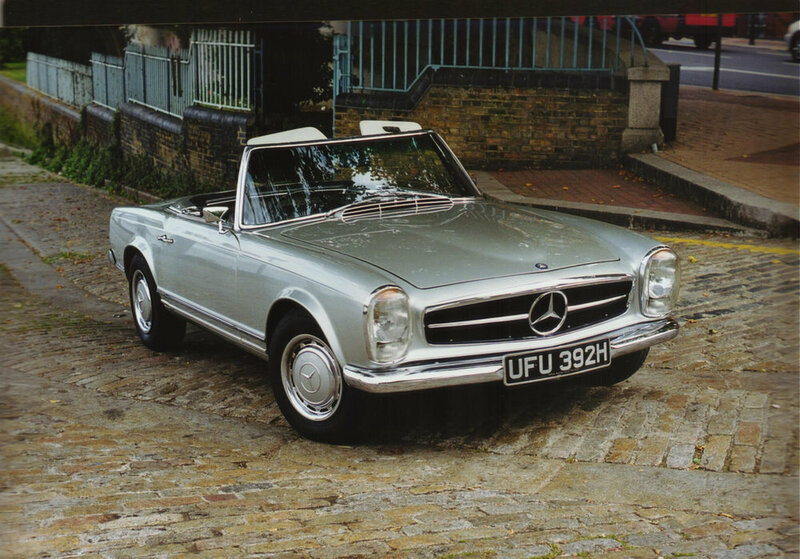 A stunning 280SL Pagoda finished in Silver with Blue Leather, fitted with a contrasting blue hardtop and hubcaps and blue soft top. A stunning and very rare, right hand drive, UK supplied car. Finished in Silver with Red Leather, with a Blue Soft.